within a very crowded field. Those who jumped into the game early were the ones that benefited exponentially over the last decade. However, even those businesses are starting to take some new approaches in order to rise above their encroaching competition. What can you do this year to help your business stand out better on social networking sites? 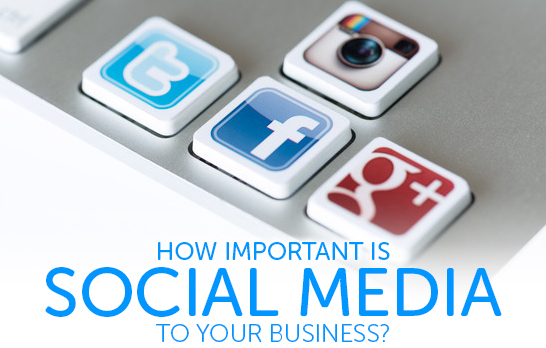 Read on key elements of social media for your business' success. You might be surprised at what you might have to do compared to just a few years ago. Visuals are more important than ever in the world, but especially in online marketing. Business websites are using video to explain things or introduce themselves. On social media, having video practically guarantees more attention than plain ol' text. Embedding videos onto your social media feed doesn't take any more than a minute, including the same for images. The crossover use of Instagram on places like Twitter is one of the smartest things you can do in making your business transparent and open to new visitors. It's easy to spread yourself too thin in the digital world with so many options for connecting and marketing available today. Businesses simply can't take the time to focus on posting heavily on multiple social media sites every day. That's why Social Media Today is saying providing fewer posts with more meaningful content is the way forward in the future of marketing on social media. Only posting content that matters to your core customer base shows you care about quality over quantity. Flooding your social media stream with endless promotional posts is quickly becoming an archaic practice. The trick to successful social marketing is to post great content and post often. With so many people starting to use their smartphones to gather quick information online, you're missing out on a massive boost if you don't think in mobile terms. Creating content that's easily viewable on a mobile device is an imperative marketing tactic now, and it usually involves working with a programmer to help your content adapt to mobile screens. It's a business move you've perhaps avoided, yet something that will more than pay back the money you put in to have it done. Being unique can be quite challenging in a time when creativity is going through its greatest renaissance in human history. Even so, creative possibilities are still possible in the business world. The more thought you put in to being different from everybody else, the more you'll stand out from everyone else. In some cases, it may mean doing something offbeat as some brands do well (and others don't). Study your demographics carefully so you'll know what path to take without going over the line and bewildering your customer base. 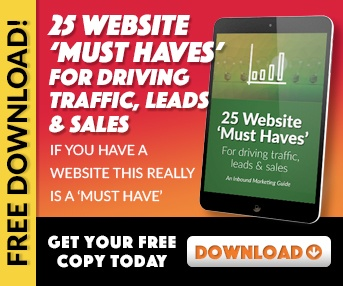 Much of this is connected to having a superior understanding of inbound marketing, along with an outstanding website. We can provide all of that here at EnvisionIT Solutions. With our expert team in inbound marketing, website design, and IT support, we have you covered on the most important aspects of running an online business. Contact us so we can tell you more about how we can make you successful on social media based on how it works today. We'll get you ready for not only today, but also what may be happening on social media in the future. See also: Is your kid safe on the social networks?